Postmodernism’s radical left politics don’t flow naturally from Heidegger’s subjectivist philosophy. Instead, their politics flow from twentieth century Marxists’ crisis of faith (in the face of undeniable Marxist catastrophe). 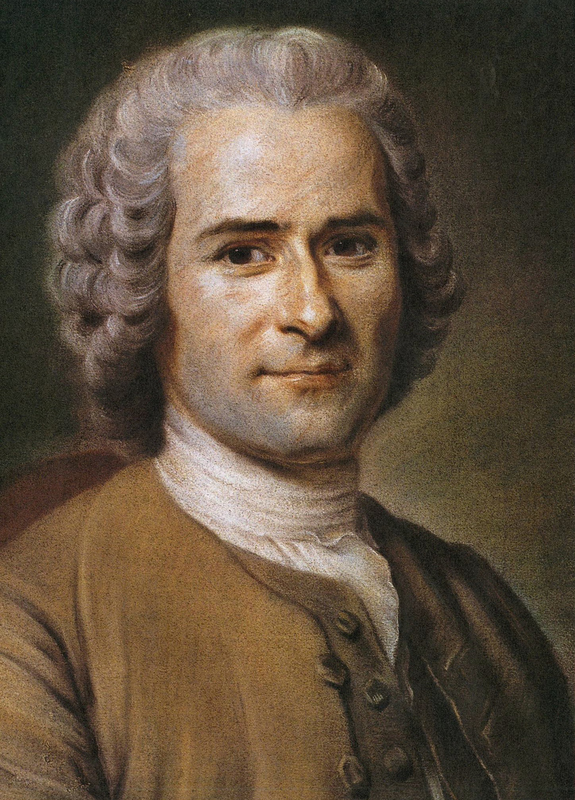 The postmodernists took refuge in the earlier collectivist Rousseau. Rousseau’s ideas inflamed the French Revolution and Reign of Terror, and culminated in Napoleon’s conquests. Right Collectivism has roots in the German Counter-Enlightenment (Kant, Herder, Fichte, Hegel). They gave Rousseau a German twist, including hero worship, state worship, totalitarianism, and dialectical history (plus German supremacy). Left Collectivism has roots in the German Counter-Enlightenment, romanticism, and early industrial working conditions. Romanticism valued passion, violence, radicalism, and revolution (morality, not so much). Deplorable (“third world”) industrial working conditions were (truly) breeding revolution. The Communists, Marx and Engels, thought this the new normal. Their “scientific socialism” prophesied a Communist destiny. In 1847, the Communist League published their Communist Manifesto. Revolution was imminent. The French Revolution of 1848 followed the French Revolution of 1830 (resulting in a constitutional monarchy, then a republic). Louis Blanc’s socialist programs worsened budget problems and taxes (causing rural taxpayers to resent urban radicals). Paris radicals grew restive (as usual). Worried that Blanc’s programs were destabilizing Paris, the programs were shut down. In June, Paris radicals rose in insurrection (as usual). To prevent another Reign of Terror, the Republic crushed the Leftist insurgency. Marx (hopeful) thought this a class revolution, but Frederic Bastiat (foe of pickpockets on the Left and Right) had a different take. The cause of French Revolutions, said Bastiat, is government’s empty (impossible, contradictory) promises: “a host of benefits and no taxes.” The “state … is hugely generous with impossible promises, and the general public … has conceived unattainable hopes”. The state is an abstraction (not a person), Bastiat said. The “personification of the state has been in the past and will be in the future a rich source of calamities and revolutions,” he said. The state “is not and cannot be one-handed,” he wrote, “It has two hands, one to receive and the other to give … the rough hand and the gentle hand.” It is impossible for the state to benefit some without harming others. “The purpose of the law is to ensure respect for property,” Bastiat said, “All of our past constitutions proclaimed that property is sacred. … This implies that property is a right that predates the law.” Lawmakers create laws, he said, but not property. “Property was a fact and right that existed before law,” Bastiat argued, “Property, like the person, is a … necessary consequence of the [existence] of man”. We are born property owners, he said, “since [we are] born with needs whose satisfaction is essential to life”. In nature, we must satisfy our needs by working, Bastiat wrote, but cannot work unless we are certain of the fruits of our work. Property is a natural institution, he argued, that is observed in primitive cultures and animals alike (from primitive huts to birds’ nests). Those who claim that law creates property suppose an absolute power over people and property, Bastiat wrote. “Where does this idea come from?” he asked. Roman law, he answered, regarded property as “a product and an artificial creation of the written law”. This Roman idea justified pillage, plunder, and slavery. Rousseau transmitted the “Roman notion of property” to Robespierre and the socialists (including Louis Blanc), Bastiat said. Robespierre called liberty “the most sacred of rights [man] holds from nature” (but sent thousands to the guillotine in the Reign of Terror). Robespierre called property “a social institution” (created by lawmakers). He limited our property rights to that “which is guaranteed to him by law” (at the whim of the state). This idea, opens “a limitless field to the imagination of utopian thinkers,” wrote Bastiat. Then, he said, “the legislator is responsible for … molding both people and property at will … [and] is the absolute master in disposing of workers and the fruits of their work”. The Right (protectionist business interests), said Bastiat, have invited communism on themselves. Free trade, he said, is a “question of right, justice, public order, and property.” Protectionism “implies a negation or scorn for property”. State intervention to level out fortunes (in any form), he said, is communism. “If you wish to stave off the storm that threatens to engulf you,” Bastiat wrote, “you have just one means left. Acknowledge your mistake, renounce your privileges; restrict the law to its own powers and limit the legislator to his role” (protecting people and property). Bastiat’s (free market) critique of the State has much in common with Marx’s rival, (anarchist communist) Mikhail Bakunin (as we’ll see). Bakunin and Nietzsche both foretold the calamity of communism (as we’ll also see). Some philosophies try to escape the trap by denying they’re philosophies (like postmodernism does). Some try to escape by changing the subject (such as attacking “natural law” as superstition). However, all philosophies rest on metaphysics. Is “natural law” any more superstitious than Marx’s revealed historical dialectic (or Hegel’s absurd dialectic)? Both Marx and Rousseau assume there is no human nature (and that all of society is created by law). Is this any less metaphysical than Bastiat’s assumptions that there is human nature (and that there are natural human institutions)? During the French Revolution of 1848, Marx was in Paris (fomenting German revolution). It didn’t go so well. Next: Part 28, Frankfurt Fumbles.